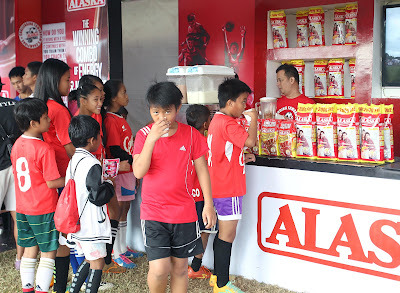 (Manila, Philippines) The biggest football tournament in the country was held at the Alabang Country Club after Alaska Milk celebrated two decades of commitment to the world’s most popular sport with the holding of the 20th Alaska Football Cup at the Alabang Country Club last weekend. Alaska Milk President and CEO Wilfred Uytengsu said it was a privilege to hold the biggest and most successful grassroots-development program in the local football scene even as he recalled the tournament’s modest start. “In 1996, we had 350 players and 25 teams. Today in our 20th anniversary, we held a three-day event in 26 football fields with 6,150 players in 410 teams. In those 20 years we’ve had 12,159 teams of over 58,000 players play 13,800 games with over 40,000 goals scored. We’ve come a long way,” said Uytengsu. The Alaska CEO praised the dedication of tournament organizer Tomas Lozano and his role in not only growing the tournament but also in discovering some of the best football players in the country who eventually went on to play in the Azkals national football team. “Over these 20 years we’ve also had the opportunity to have some really fantastic players participate in the event. We are proud to say that many in the ranks of the Azkals have come through the Alaska Cup including Ali Borromeo, Roel Gener Chieffy Caligdong and Amani Aguinaldo,” said Uytengsu. Alaska Milk encourages sports engagement, as it instills positive values during the early stages of a child’s life. “Alaska Football Cup is more than just discovering elite players. It’s about promoting teamwork, commitment and dedication. We hope that as players you will keep those characteristics in mind. It’s a privilege to be here to open the 20th Alaska Cup,” said Uytengsu. 20 years ago, Alaska Milk just wanted something for children that will complement the basketball program and it became bigger and bigger over time. 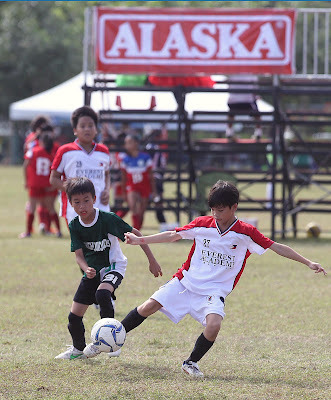 Alaska Football Cup is the country’s biggest football event for young athletes which attracted players of all ages, from as young as six years old. They gathered in one venue to participate in one of the longest-running and most successful grassroots-development programs in the local football scene. 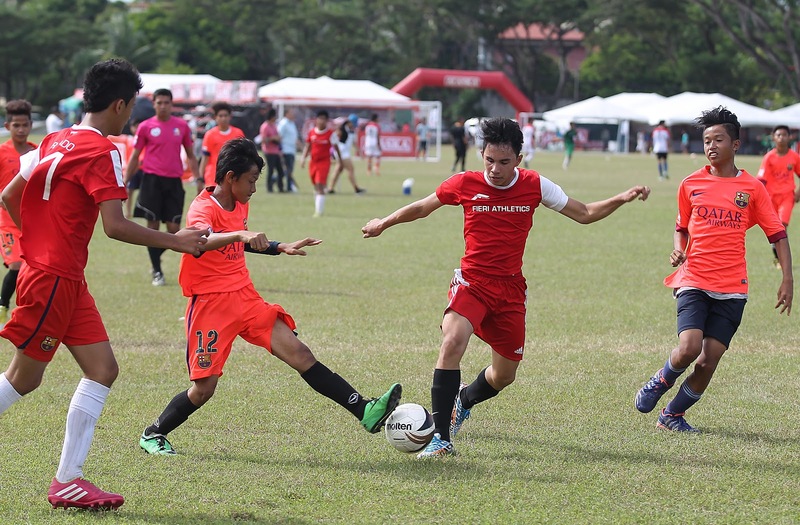 The Alaska Football Cup is the highly anticipated annual football tournament for today’s young athletes with school teams and football clubs from all over the Philippines including Masbate, Baguio, Negros Occidental, Cebu, Davao, Palawan, Legaspi, Laguna, Batangas, Bukidnon, Zambales, Pampanga, Tarlac, Ilocos, Bicol, Romblon, Davao Sur, Compostela Valley, Quezon, Cavite, Albay, Pangasinan, Bacolod, Iloilo, Mindoro and Metro Manila participating. Participating in a sport develops the athletic and social skills of participants through healthy competition among the same age group, while it boosts physical and mental development. Furthermore, engaging in sports instills the values of determination, discipline, hardwork, teamwork and sportsmanship. If you want to become an athlete too, join Alaska’s sports programs - NUTRITION. ACTION. CHAMPION. For general information about Alaska Milk Corporation visit www.alaskamilk.com. For general information about the 20th Alaska Football Cup visit www.alaskapowercamp.com/football; Like us on Facebook https://www.facebook.com/PlayPH for updates.